The meteorological conditions are relatively constant ; the West Indies are situated in the zone of the Trade Winds, winds are generally regular and rarely above force 6. The Trade Winds blow from the East, varying according to the time of year, from NE (November to May) and from the SE (June to October). They are more regular and cooler between December and May. « Strong gales » do not occur except during the cyclone period, when sailing is simplified by it. However, it is necessary to pay detailed attention to the « Squalls », where the wind can strengthen and reduce the aerofoil, these « squalls » are particularly characterized by their cloudy mass. The weather forecast is broadcast each morning in the French zone on VHF, you can also find the forecast in each of the ports. 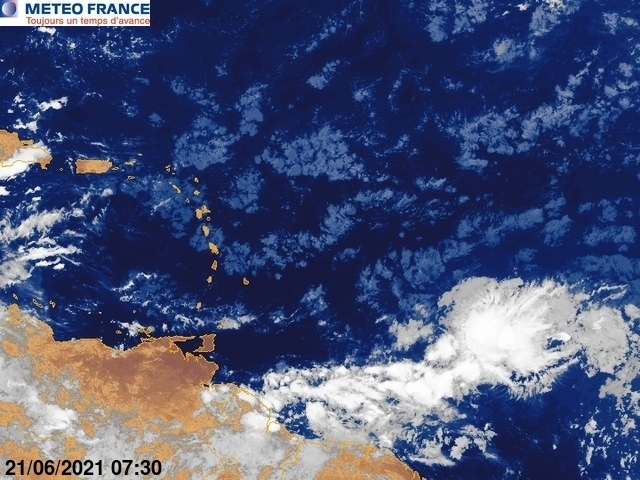 During the cyclone period (July October) it is important to monitor the weather position, by listening to the bulletins broadcast on VHF each morning in the French zone. The weather forecast on the internet. It is preferable to be able to read English to be able to benefit from free (and serious) marine forecasts available in the Caribbean area. We have selected a number of useful links to enable you to monitor the weather position especially in the cyclonic period.